When we began our business Apex Auto Glass in 2000 we committed ourselves to providing service that will “DAZZLE” you. Leaving our customers knowing the work was done right the first time. We always go the extra mile to make sure that you are 100% satisfied. 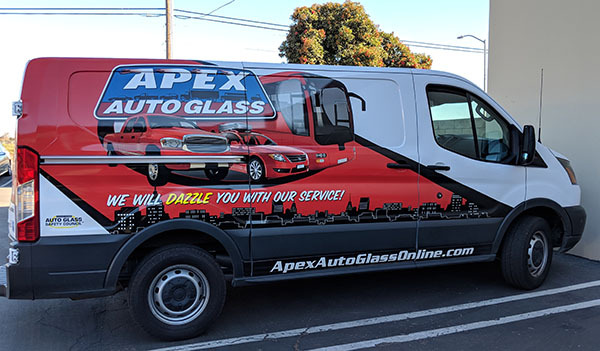 The owners of Apex Auto Glass are committed to providing the ultimate level of quality workmanship and customer service! 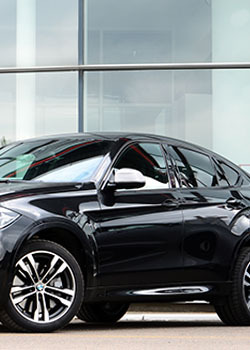 Whether it is your windshield, rear window or a side window, that has been damaged, Apex has the professional technicians and the latest technologies to get your problem resolved as quickly and cost effectively as possible. 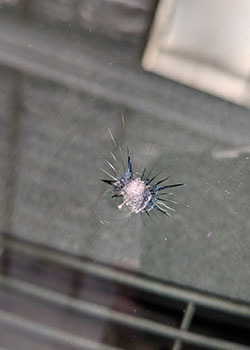 You’ll be glad to know that Apex professionals are able to repair most auto glass chips right on the spot! A good way to know if yours can be repaired is to see if the chip is smaller than a quarter, and if it isn’t directly in the driver’s line of vision. Call right now and a technician will be deployed to your location. The fasted services available. No Middle-men! 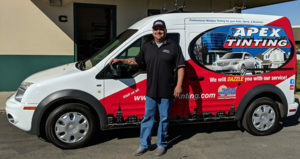 The BEST Windshield Repair on the Central Coast! 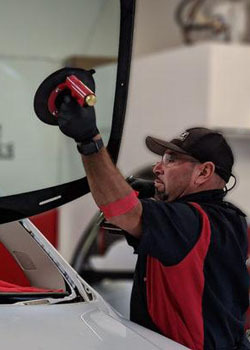 From Paso Robles to Santa Ynez… from Atascadero to Vandenberg… you will not find a more qualified, full service, Windshield Repair & Replacement company anywhere on our beautiful Central Coast! We have an outstanding reputation for customer satisfaction, and we offer services not available from other companies. 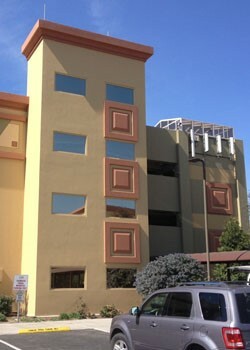 Apex Tinting has years of experience helping building owners and managers with common glass problems at their properties. Your office might have excessive glare. This is the perfect reason to add film to your office windows. Apex clear home window tinting films block the UV rays without obstructing visibility. For the windows where you would like more privacy, without sacrificing natural light, we have a nice variety of decorative window films, including opaque, frosted and one-way options to choose from. Heat accumulates as it comes in through unprotected windows and gets trapped inside. The temperatures inside can raise dramatically even when it is nice and mild outside. Many people will cover their windows, and turn their fans on, but this does not take care of the heat build up and it blocks out the light we desire. Glare is another big concern with sunlight streaming in. Glare makes watching TV or working on computer screens very hard. Apex has a simple solution which will make you much more comfortable at home – window tinting! Professionally installed window tinting film by Apex will add beauty, comfort and protection to your home. More and more vehicles now come with advanced safety systems, which require re-calibration after a windshield replacement. These systems typically use front-facing cameras as part of the vehicle’s advanced safety system. Our technicians are certified and experienced with the re-calibration procedure that is necessary for proper functioning of the system. Wonderful job! Had the back windows tinted. Went in and had front done, next week the windshield! WOW! Thanks for fixing my windshield and for coming to my office to do it. I didn’t think I would be able to drive my car home but I got to drive home early! These guys do great work! I was in and out within 20 minutes from taking my car in for a windshield chip repair. I highly recommend Apex! Thanks again!! Rocks happen. Apex took care of the insurance claim, ordered up the correct part and had it here quickly. Scheduling the installation was a breeze… they came to my work and handled everything without interrupting my day. It looks great!